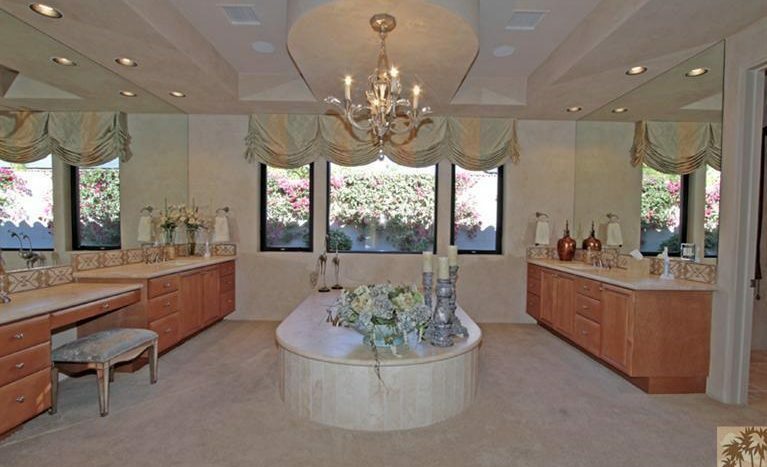 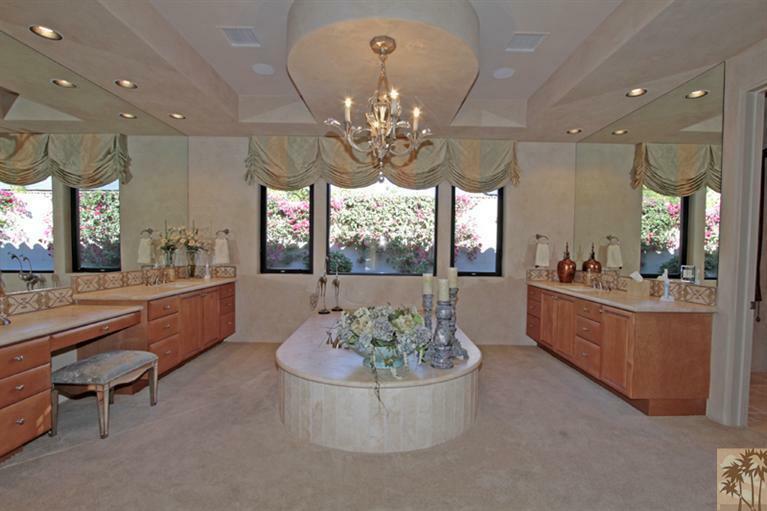 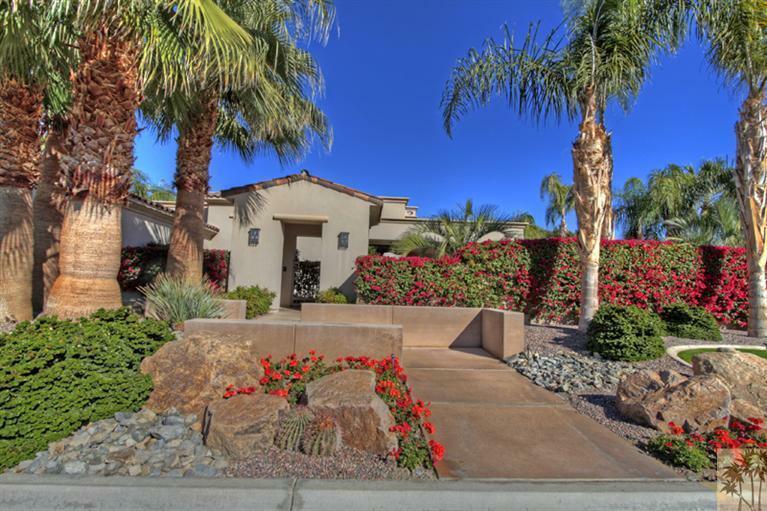 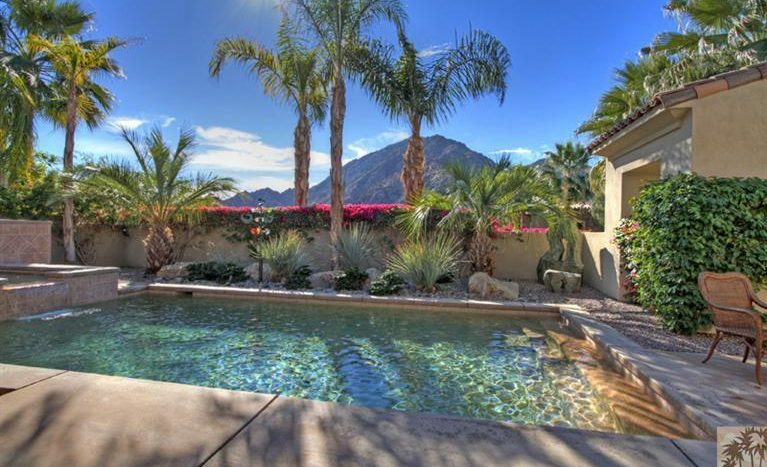 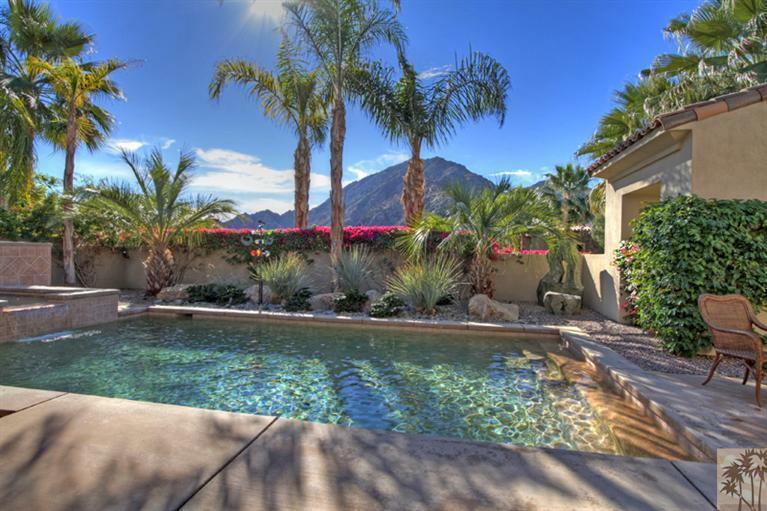 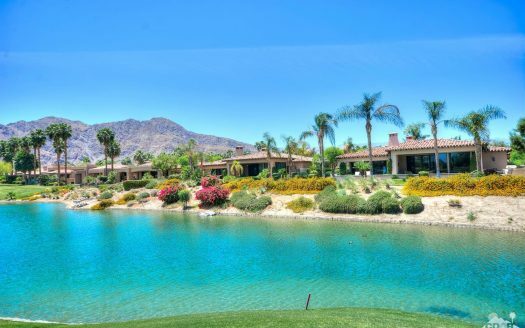 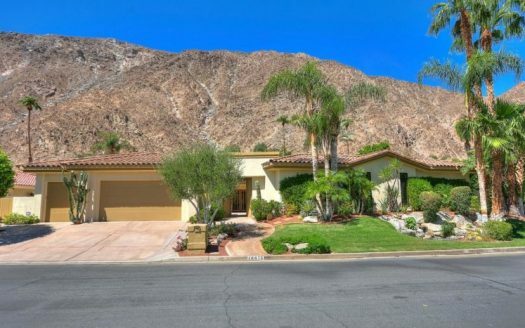 Exquisitely Built by renowned Ministrelli this home is one of the finest and best locations at Indian Wells Country Club within the prestigious Villaggio community. 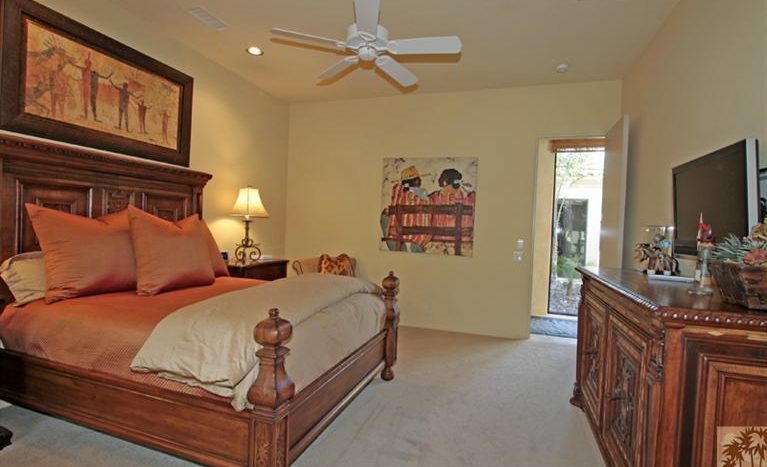 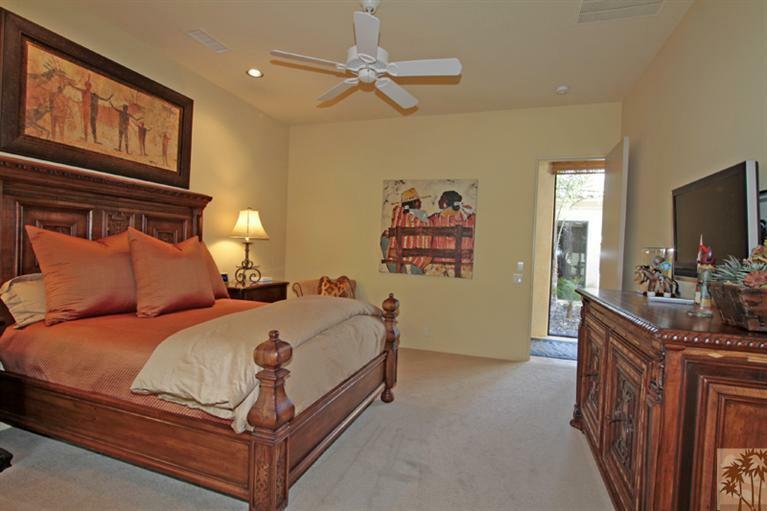 Light and bright California open design with Tuscan touches and quality built from start to finish! 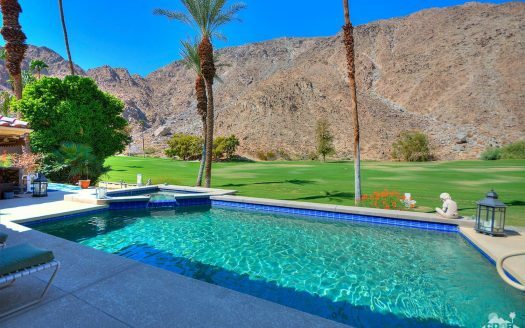 Spectacular Mountain Views directly south facing with walls of glass which disappear and open to large 422 Square Foot covered loggia with fireplace, beautiful pool and raised spa, and outdoor barbeque island. 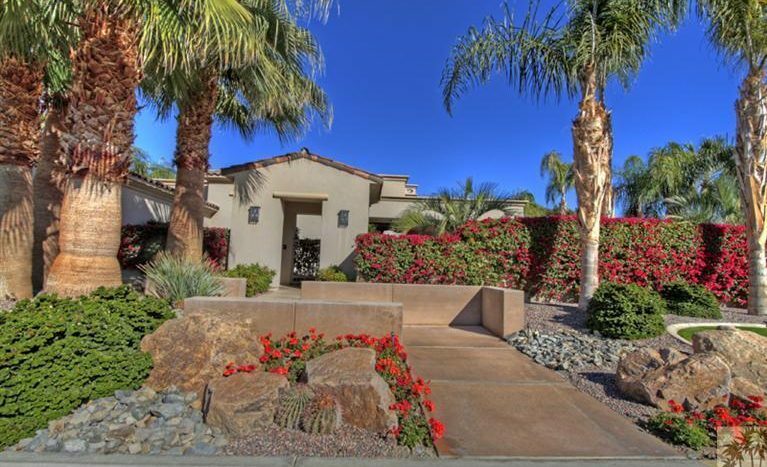 Fabulous Views and spacious indoor/outdoor living this home consists of 4 Bedrooms, 4.5 Baths, Home Office, Great Room with fireplace, Formal Dining Room and adjoining Wine room. 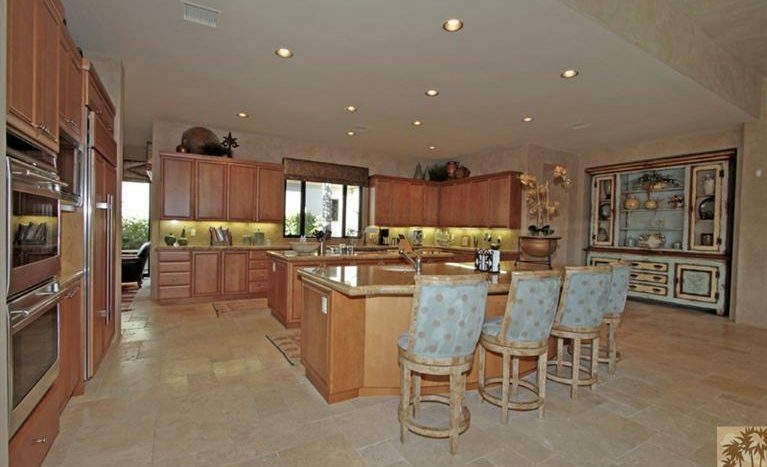 Open Gourmet Kitchen boasts 2 islands with bar seating. 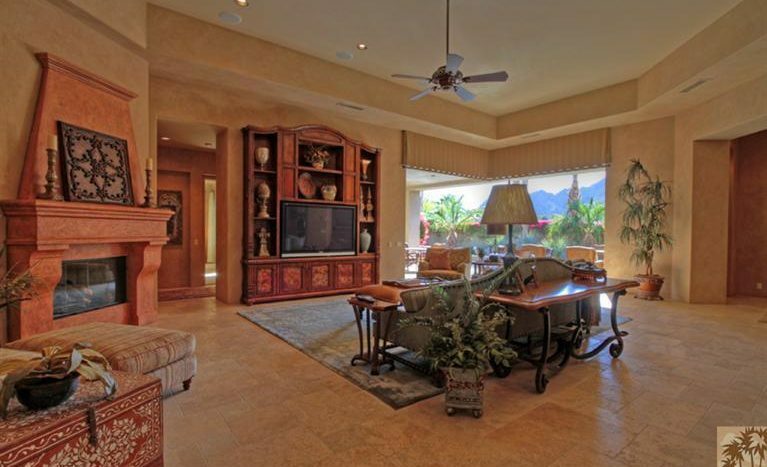 Interior Design features include extensive use of granite and marble, faux and stenciled wall paint , art niches, built-in wood cabinetry, carpeted bedrooms, and gorgeous Versailles pattern Travertine floors. 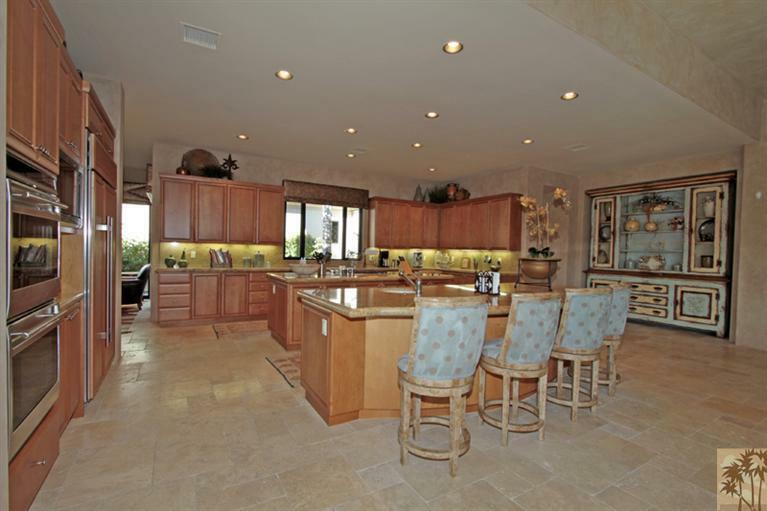 Total of 3 car garage, with epoxy flooring and extra built-ins.